Pierce Manufacturing is honored to annually attend the Fire Department Instructors Conference (FDIC) as an exhibitor at Lucas Oil Stadium. Each year, Pierce’s dedicated team pulls together an impressive exhibit featuring apparatus, new product features, and often a few new surprises. What can you expect to see when you visit Pierce’s exhibit at #FDIC2019? This year is all about the people behind the apparatus — firefighters — and how Pierce helps to support fire departments by listening, answering questions, taking action, and honoring the brave men and women in service. Learn more about what that message means and more of what you can expect to see at FDIC, below. What Does ‘Deserve Better. Serve Better’ Mean? 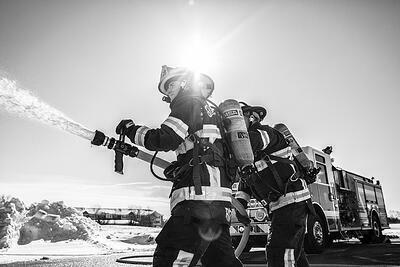 Fire departments deserve premiere apparatus designed to match unique specifications, allowing firefighters to serve their communities effectively and perform at their best every day. This message is at the heart of what the experienced workforce at Pierce does day in, and day out. Taking feedback and recommendations directly from firefighters helps Pierce build innovative design features that address the critical needs of fire departments. Firefighters are tasked with lifesaving work — the team at Pierce is tasked with giving firefighters the tools they need to succeed. True innovation comes from collaboration. At Pierce, we work directly with dealers and firefighters to answer their questions. Why are things made a certain way? What types of materials are used and why? The team at Pierce makes a point of educating firefighters about processes and best practices but also takes feedback to help drive new apparatus design and functionality. 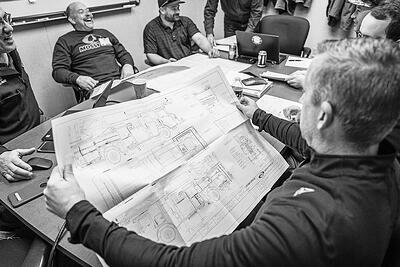 Constant collaboration — questions and answers — allow for continuous evolution and innovation in apparatus manufacturing. You ask, and the team at Pierce can make it happen. From product improvements to service and maintenance, your requests drive action. Pierce employees and dealers take pride in accommodating your needs as we offer exceptional service for the life of your apparatus. If you require sales, service or apparatus support, just ask, and Pierce will be ready to help. You Lead. We Honor. Building custom fire apparatus involves a deep understanding of the risks and challenges firefighters are faced with on the job. Throughout Pierce’s over 100 year history, we’ve made a point of honoring the noble work of firefighters. With one of the nation’s largest a 9/11 Memorial Stair Climbs taking place at Lambeau Field each year, Pierce helps raise funds for the National Fallen Firefighters Foundation and is honored to support the men and women in service, as well as the families of those who have died in the line of duty. 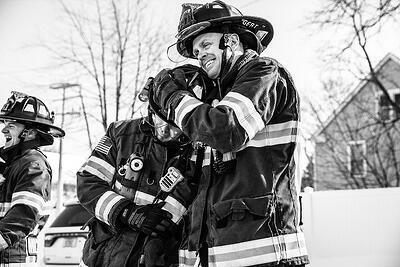 What to Expect at FDIC 2019? Lucas Oil Stadium at FDIC 2019 will feature the breadth of available Pierce apparatus. The booth will showcase product configurations and enhancements based on customer feedback, demonstrating how the specific needs of fire departments are addressed in the design and manufacturing processes. From pumpers to aerials, rescues to tankers, you’ll see apparatus on display representing regions across North America. Additionally, you’ll have the opportunity to learn more about Pierce's extensive dealer network and interact with the aftermarket and product support teams. Follow along with Pierce at FDIC on Instagram and Facebook now! When you choose to work with Pierce, you’ll have access to a strong dealer network that is equipped with the experience and extensive regional knowledge to help you identify possible configurations and customizations to support your fire department. At FDIC, you’ll have the opportunity to meet and talk with Pierce dealers and learn more about how apparatus on display have been customized to match regional requirements, by-laws, and department requests. 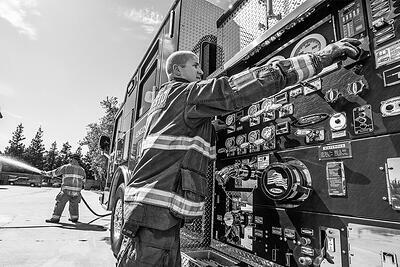 The life-long quality of your apparatus is dependent upon aftermarket and product support, including routine maintenance and service. In this area of customer service, Pierce has stepped up to the challenge, with the goal to provide your department with service excellence through the life of your apparatus. As you walk through Pierce’s booth at FDIC, we hope you’ll take the time to see unique regional apparatus configurations and customizations and talk with customers and dealers about their experience with Pierce. Moreover, the team at Pierce hopes you’ll take our message to heart because as firefighters, you truly deserve the very best. Follow along with Pierce at FDIC on Instagram and Facebook. What are you excited to see at #FDIC2019? Posted: Apr 9, 2019 10:11:43 AM by Pierce Mfg.